You are here: Home > Motivation > Trim your waist and build a stronger core without doing a single crunch! As a personal trainer, one question I get asked a lot is, “how can I get a flat stomach/6 pack/great abs”? It’s something a lot of people strive for. Now I’m not going to give you a workout plan with a hundred different variations of crunches. 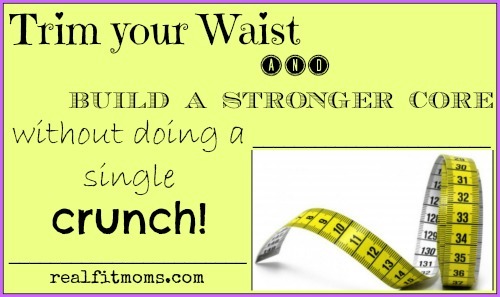 What I will tell you is that you can trim your waist and build a stronger core without doing a single crunch. Yes, you read that right. Not a single crunch. 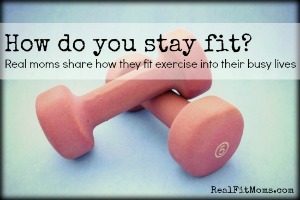 As far as exercise is concerned, you may have noticed I don’t share many “ab” specific workouts here on real fit moms. That’s because I believe you should be working your core/abs with each and every exercise you do. Your abs are your girdle, you should have them engaged as often as you can, especially when your exercising. Even when your not. Stop what you’re doing, take a breath and brace/engage your abs. Imagine you are trying to draw your belly button back against your spine. Don’t hold your breath, you should still be able to breathe freely while your abs are engaged. Now hold it for 10 seconds to start with. Relax and repeat. Do this anywhere and everywhere – while your making dinner, folding laundry, sitting at the stop light while your driving around in your car running errands. Slowly build on the length of time you hold this for and in no time at all you will see progress. I promise. I also firmly believe that abs are made in the kitchen. If you want to see that “6 pack” or even just get yourself a flatter stomach one of the main things you need to do it clean up your diet. Look at what your eating. A lot of foods have crazy amounts of hidden salt (among other things) and this my friend is something that can cause fluid retention and crazy bloating, ain’t nobody got time for that! I would encourage you to eat as much fresh produce as possible. Lot’s of lean protein (chicken, turkey, fish, salmon, beef, kangaroo etc), lots of fresh fruit and vegetables. Pay attention to what and how much you’re eating. Eat slowly so you’re not swallowing excess air and chew your food properly. I was so excited to see I was not alone in my “no crunches required to trim your tum” mindset when we met Beth, owner of Fit2B in one of our weekly “How do you stay fit” features. Beth is a professional, and girlfriend knows what she is talking about and actually specializes in this area. 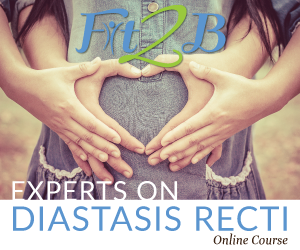 She has a wide variety of family-friendly programs to offer which are designed to “effectively tone and strengthen the WHOLE body without crunches” and some particularly target Diastasis Recti (split abs).